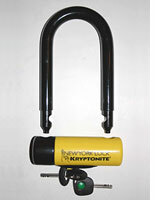 theBIKE.ca: SECURITY WEEK: Which is your best bet for a bike lock? SECURITY WEEK: Which is your best bet for a bike lock? If you want to know the rest of the rankings as well as the tests involved, check the full article out HERE. There are also some more tips on keeping your bike from being stolen as well.